Since moving to LA from the East Coast, you’re always lamenting about it not ever feeling, you know, LIKE WINTER, but also: dude, the beach! And since right now is about the time for photos of white wonderlands to appear on your friends' FB feeds, here are a bunch of LA-centric ways to not feel left out. C’mon now. You live in LA. This one’s a no-brainer. Through January 6th. 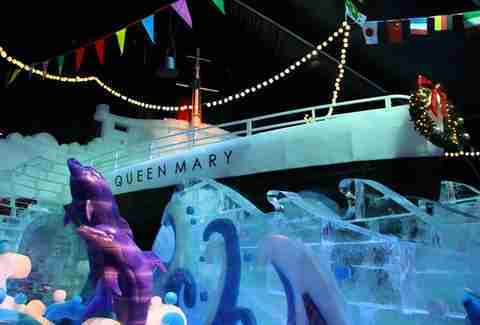 Until January 10th, the Queen Mary’s dome will be set up like a straight-up winter wonderland, with everything from ice skating and tubing to 25ft ice sculptures, sleigh rides, and even “polar paintball,” which sounds like something PETA may take issue with someday. There are no shortage of outdoor ice-skating options in LA this year, so fear not. Live in the Valley? Hit Woodland Hills Ice. Live in Santa Monica? Hit ICE at Santa Monica. Live Downtown? Sorry to hear that, but you can hit Pershing Square or feel like a king and hit L.A. LIVE. Or hit all three cities and call it a hat trick (that’s a hockey joke. For hockey fans. Who ice skate.). 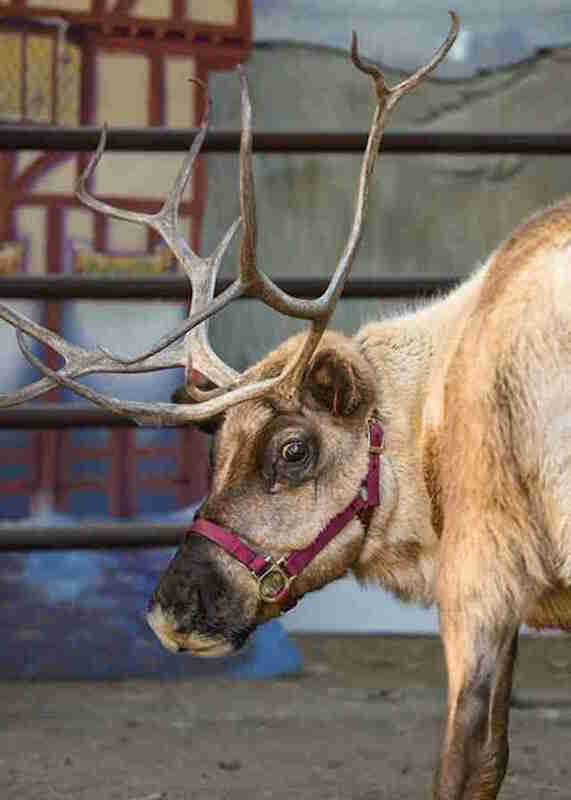 The zoo’s Christmas light display will be open in an expanded section that you can walk through, until January 3rd. 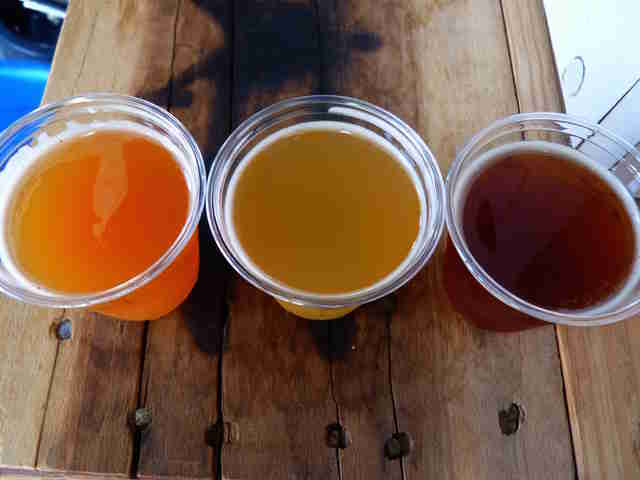 Stop by LA’s best beer bars to sample local breweries’ specialty winter beers that you definitely shouldn’t miss, like Golden Road’s gingerbread stout, MacLeod’s Old Toasty, and Eagle Rock’s Jubilee, to name a few. Cheers, winter. A nine-night historical celebration will be taking place at one of LA's OG streets. From December 16th ‘til Christmas Eve, they’ll be partying with candlelight walks, piñata-breaking, and even free champurrado and pan dulce. Through January 2nd, the Getty will be open until 9pm, and you’ll be able to check out all the holiday lights while you take your crazy-view-from-the-top-of-the-Getty pictures. Bonus features: cheaper-than-usual parking and free mulled cider, for when it hits nearly freezing, aka 50 degrees. 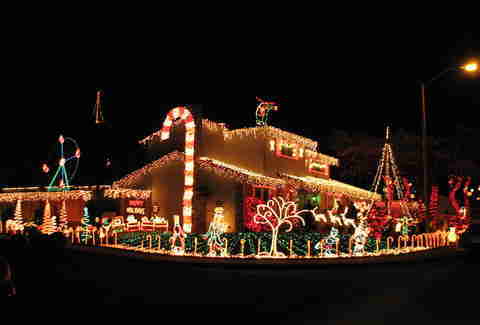 The residents of Oxnard St and Lubao Ave in Woodland Hills go absolutely crazy for Christmas decorations, and they’ve been doing it since 1952. 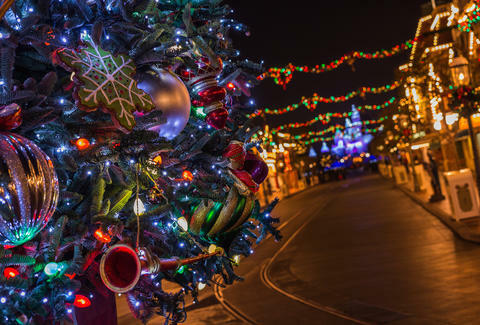 It’s not something you want to miss, as it’s pretty much designed around each house trying to out-do one another; be prepared to spend a ton of time in your car stuck in sightseeing traffic, just like when you were a kid in... wherever you grew up that had tons of Christmas lights. Over a million people will be gathering from December 16th-20th to watch the boats, yachts, canoes, and more sail along the harbor on a 14-mile trek. 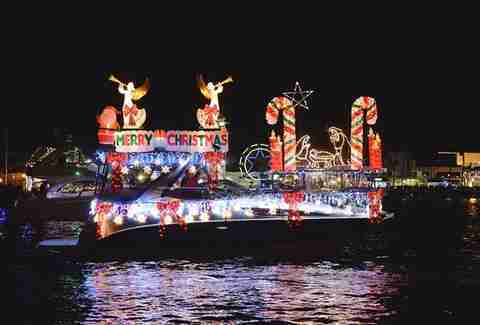 Many of the boats have over $50,000 worth of decorations. It’s like a very welcome Christmastime Alice in Wonderland trip. One of our favorite secret speakeasies will be serving hot toddies and hot buttered rums this winter, and, thanks to its location tucked away behind Cole’s, a drink at The Varnish has the bonus benefit of making it feel like you’ve found an escape from the cold outside. Or whatever people do when it’s snowing out. There are a ton of LA bars that have fireplaces (like Sassafras and Harvard & Stone), but for a full winter-at-Hogwarts-type vibe, head over to the Griffin. If the tapestries on the wall and the old-school English-style fireplace don’t get you... something is seriously wrong with you. Long Beach's tiny coffee house, Berlin Bistro, is ready to party this winter, ‘cause it's selling eggnog shooters. They're made with cold brew, brandy, eggnog, whipped cream, and nutmeg. And are ice cold, for when our winters, like, aren’t. Wilder Shaw is a regular Thrillist contributor who will most certainly be drinking all of those seasonal beers. Drink them with him on Twitter at @WilderShaw_ and Instagram at @wildershaw.